Nurses and physicians in Liberia where the Ebola virus has killed many people went out on strike on Sept. 1-2 due to lack of pay and the dangers associated with the minimal resources to address the burgeoning healthcare disaster. This West African state that maintains historical economic and political ties with the United States, has witnessed nearly 700 documented deaths due to the Ebola Virus Disease. Nurses demanded that they be given the necessary protective and medical resources to both screen and treat patients impacted by the spreading sickness which in many cases proves fatal. “From the beginning of the Ebola outbreak we have not had any protective equipment to work with. As result, so many doctors got infected by the virus. We have to stay home until we get the PPEs,” Tugbeh said. So far cases of the Ebola Virus Disease have been reported in Liberia, Sierra Leone, Guinea-Conakry, Nigeria and Senegal. There are a small number of cases that have been reported in the northern region of the Democratic Republic of Congo. International organizations concerned with relief and humanitarian crises in Africa and other parts of the world have stressed that the Western industrialized states, including the U.S., are not paying significant attention to the spread of the disease. There have been at least two cases reported in the U.S. acquired by people who were working in the healthcare sector in West Africa. Overall figures vary on the number of actual cases and deaths related to the disease. Some reports indicate that the number of fatalities is approximately 2,000 spanning Liberia, Sierra Leone and Guinea-Conakry. 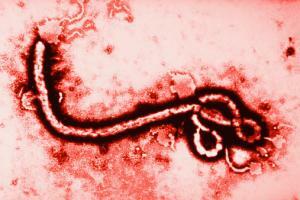 The Doctors Without Borders (MSF) organization has also sounded the alarm about the rapid spread of the disease. MSF president, Joanne Liu, noted in an address to U.N. members in New York that the spread of the disease since March has forced the issue to the level of international security requiring specialized bio-medical disaster response units to stop the rapid increases of infections. Several research centers in West Africa and now the WHO are saying that the nations of Liberia, Sierra Leone and Guinea-Conakry where the disease has hit hardest do not have the healthcare infrastructural and research capacity to effectively handle the crisis. Yet the advanced industrialized capitalist states have been relatively unresponsive to several warnings issued related to the potential global threat of the epidemic. Additional economic and political problems are developing as a result of the travel bans, the quarantining of communities and the lack of an effective response by the regional African Union (AU) as well as other continental organizations. Nonetheless, CADA appealed to regional governments to adopt rationale policies related to containing the spread of Ebola which could cause unnecessary disruptions. “Panic is avoided not just by combating an epidemic, but by being seen to do so”, the press release said. At present there have been over 30 deaths reported in northern Democratic Republic of Congo (DRC) in Equateur province near the town of Boende, which is said to result from another strand of a similar virus. (news.sciencemag.org, Sept. 2) Located in the central region of Africa, the DRC, like other states in West Africa struck by the disease, is a vast mineral-rich country which hosts numerous multi-national firms which extract natural resources for export to largely western capitalist states. Despite the reported record-levels of economic growth in West African states, the rate of real development is not keeping pace with the demands of the societies in the current period. The legacies of slavery, colonialism and neo-colonialism are still hampering the capacity of these governments to build the necessary healthcare facilities equipped with modern technology to tackle such an outbreak of a highly contagious infectious disease such as Ebola. In the short term the affected states must be given the necessary support and assistance to both contain and treat those infected by the disease. However, a process of large-scale investments in healthcare systems has to take place in order to guard against future epidemics that will spread due to cross-border migration, the overall decline in living standards among the working class, farmers and the poor and the burgeoning class divisions in Africa stemming from the nature of the relations of production inherited and maintained by imperialism. Under a socialist system of government, profits from the sale of mineral resources, agricultural cash crops and tourism would be returned to the majority of the people through the construction of hospitals and clinics, the training of medical and educational personnel and the effective mobilization of the masses. A regional approach to such epidemiological crises would provide for Africans from around the continent to address these problems on a collective basis. The role of the West, including the U.S. cannot be relied upon beyond the current proliferation of news reports written about the situation in West Africa. Consequently, the Ebola Virus Disease epidemic is a manifestation of the need for Africa to become genuinely independent and self-determined based upon its own interests as opposed to the economic prerogatives of the western capitalist nations.